Evans EMAD Calftone drumheads have a synthetic coating that gives the look and sound of calfskin. 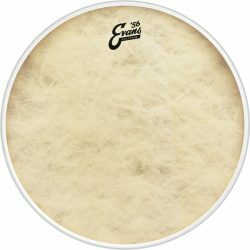 Warm, resoponsive, and with a range of control options, these drumheads are a great choice for low and medium volume live playing, and studio recording. 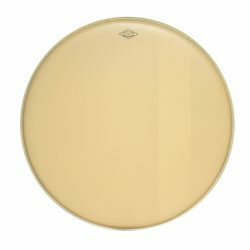 A single ply bass drumhead, made with one 12mil ply and a special synthetic fiber top layer. 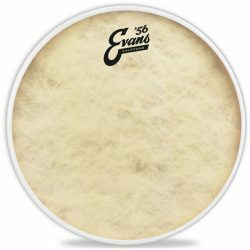 The Evans Calftone is designed to have the look and sound of calfskin, with an added boost to the midrange and low-end frequencies. 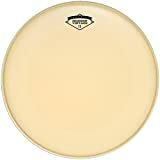 This drumhead has a warmer sound than other 12mil heads, while still giving a little brightness to the attack. 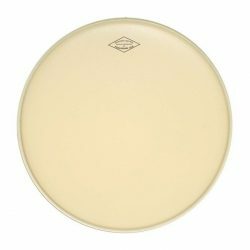 The construction makes this drumhead responsive to lighter touches, and allows for a range of sustain options. 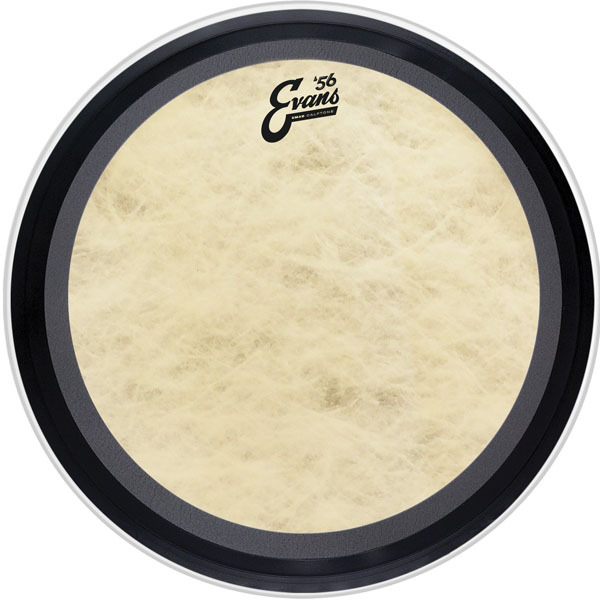 The synthetic fiber coating also helps to reduce overtones, making tuning easier. 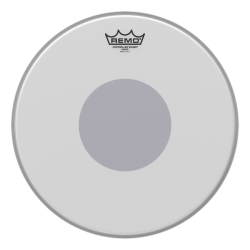 This drumhead also comes with two different acoustic foam dampening rings (one narrow and one wide), which can be quickly mounted to the front of the drumhead – allowing great control without needing to remove the head. 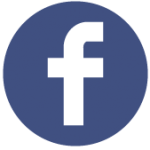 Without the dampening rings, there is a longer sustain. 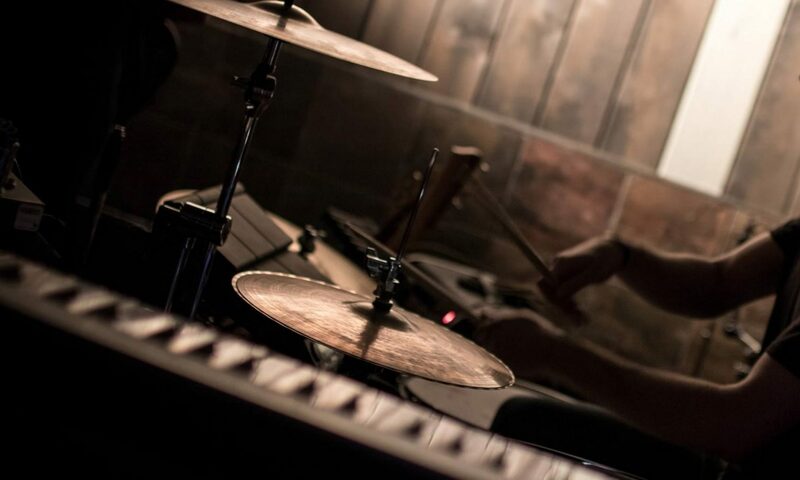 Add the rings to remove overtones and focus the sustain more towards the mid and deep low-end. With the thickest ring, the sound becomes very short, deep, and punchy. 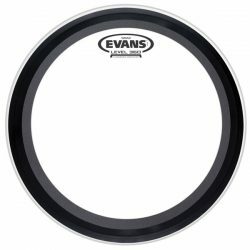 Evans EMAD Calftone Bass Drum Head, 20"
Evans EMAD Calftone Bass Drum Head, 22"
Evans EMAD Calftone Bass Drum Head, 24"